KITS technologies offers voice, video and data communications solutions to Banking and Financial service Industry. Our focus is to cut your cost drastically while improving substantially on your overall system productivity, and at the same time increase substantially your workforce efficiency and safety. We will help assess your system and redesign, update, maintain and increase the value of your ICT investments. We Design, Implementation, and Audit Data Centre, covering: Site / Building Suitability survey, Power, HAVC, Cabling Infrastructure, Fire Protection, Security / Access control, Reliability / Resilience (N, N+1, or 2N) etc. We focus on the most relevant cost Vs risk model that gives the best value. We deploy an Internet Link bonding solution that provides 100% uptime and accelerates Internet speed by bonding and aggregating various ISP connections. Our solution is capable of aggregating up to 12 broadband Internet access lines (any combination of 3G/4G/LTE, Wimax, DSLs, Cable, T1, E1, MPLS) with no changes to the existing firewall, routers and LAN equipment. 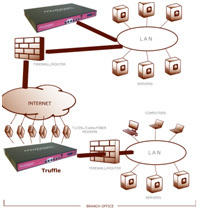 All connections will be seamlessly aggregated into a single fat pipe, to create one powerful connection with high-speedconnectivity, particularly to guarantee 100% Uptime, Zero Downtime, High Capacity connectivity. For an enterprise that has branch offices connecting to the headquarters, our VLL solution provides a unique value proposition. Branch offices can now bond together their various Internet access lines to create a virtual secure, fast and reliable IP pipe to and from their headquarters. VLL is an ideal high performance alternative to MPLS and is highly cost effective. VLL can also be utilized to offload public Internet traffic off of MPLS when deployed along side with MPLS – generating huge savings in MPLS bandwidth cost. We design, install and maintain Tele-conferencing system. Our solution is sophisticated and cost-effective. KITS technologies offers a wide range EQMS with Efficiency Optimizer (EO). The solution is designed primary to create good customer experience through automated self-service while manage customer flow. It also monitors the efficiency workforce and the satisfaction level of customer while been served. Our solution is designed to help create a service delivery environment where customers can enjoy a memorable experience resulting into the highest levels of customer satisfaction and retention. KITS technologies offers a wide range of digital IDS solutions, with various configurations and options to accommodate various business needs, Including complementary hardware and software to provide a comprehensive digital display solution for financial institutions, Stock exchange / commodity exchange, etc. KITS technologies supplies and Installs wide range of barrier gates ranging from car parking system, Barrier Gates, Pedestrian gates, road blocker, road and gates access control etc. With our complete range of IP PBX, PABX and VoIP solutions, Staff will be able to communicate easily and convenient across your premises, and including remote branch offices.